SAN ANTONIO (March 28, 2016) -- Following the Fort Hood shooting of April 2014, providers from the Warrior Resiliency Program sprang into action to provide crucial, immediate support to deal with the behavioral health concerns of Soldiers, civilians and Family members directly impacted by the disaster. 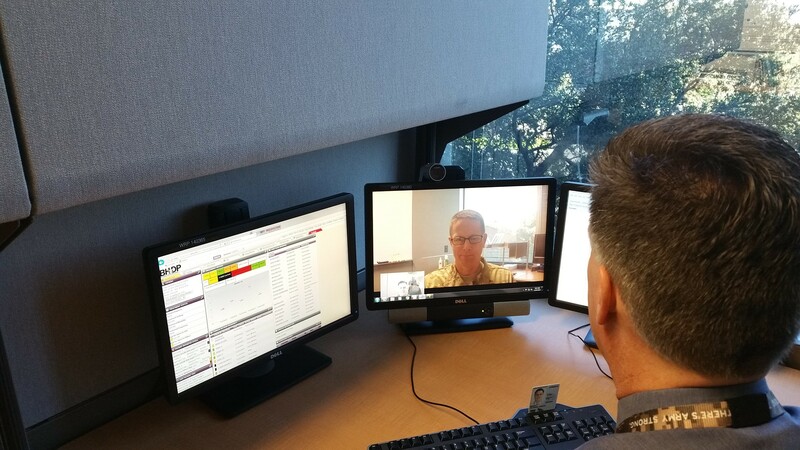 Without having to deploy providers to the scene, the WRP used video teleconferencing to bring providers "face-to-face" with those in need, providing more than 980 tele-behavioral health encounters, between April and June, for victims. This year, WRP reached an important milestone by exceeding 40,000 clinical TBH encounters since their 2010 program inception. 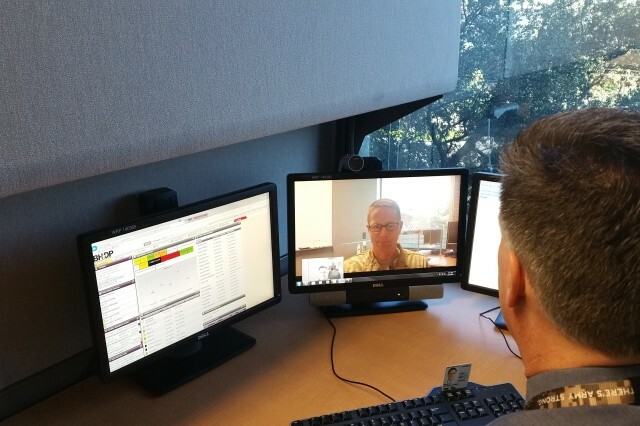 Tele-behavioral health is a capability set up throughout Army Medicine that allows behavioral health providers, psychologists and psychiatrists, to conduct sessions using current, secured video conferencing systems. Behavioral health services work particularly well using this technology. Often patients who need specialized behavioral health services may not be near a military treatment facility that provides those focused treatments. Tele-behavioral health, through the WRP, offers a more convenient way for Soldiers and their families to access the services they need. The WRP began as a proof of concept model and turned on the cameras in 2010, racking up close to 1,000 encounters during its first full year of TBH care. In addition to more than tripling its workload in 2011, the WRP has grown at a rate of around 50 percent each year following. As the behavioral health needs of the military evolve, it is quite likely that TBH and the WRP will continue to play a central role. WRP Director Dr. Bruce Crow, said, "Reaching this milestone and the feedback we get from stakeholders gives us high confidence that the services we provide are well-received by Soldiers and the Health Readiness Platforms. We are honored to be a part of the Army behavioral health system." The WRP was formed in 2008 after receiving Congressional funding earmarked for psychological health and traumatic brain injury. It was initially established as a center of excellence on psychological resilience, but the organization shifted its focus to meet the needs of Army healthcare. In order to meet the high demands for behavioral health services at Army Health Readiness Platforms, the WRP quickly evolved into the Regional Health Command-Central TBH Hub, and it currently serves 16 sites across U.S. Army Medical Command. The WRP, headquartered in San Antonio, Texas, has quickly evolved into one of the Army leaders in TBH services. While the WRP provides traditional behavioral health services such as counseling and medication management, it also participates in a variety of examinations and evaluations to include Medical Evaluation Boards, Sniper, Aeromedical, Recruiter, and Drill Sergeant Evaluations, and many more. The WRP also provides services to intensive outpatient programs and assists with redeployment and disaster response missions such as the 2009 and 2014 shootings at Fort Hood. WRP provided critical clinical and evaluation services in the direct aftermath of the tragedies. In addition to clinical services the WRP hosts a long term health education and training postdoctoral fellowship in trauma, risk, and resiliency as well as a distinguished visiting professor program. The organization is also actively involved in suicide risk mitigation education and training efforts across the Central Region.